Founded in 2012, Neighbors Against Poverty (NAP) began in the kitchen of one of its members. With the help of 3 volunteers enlisted to distribute food to 20 families. 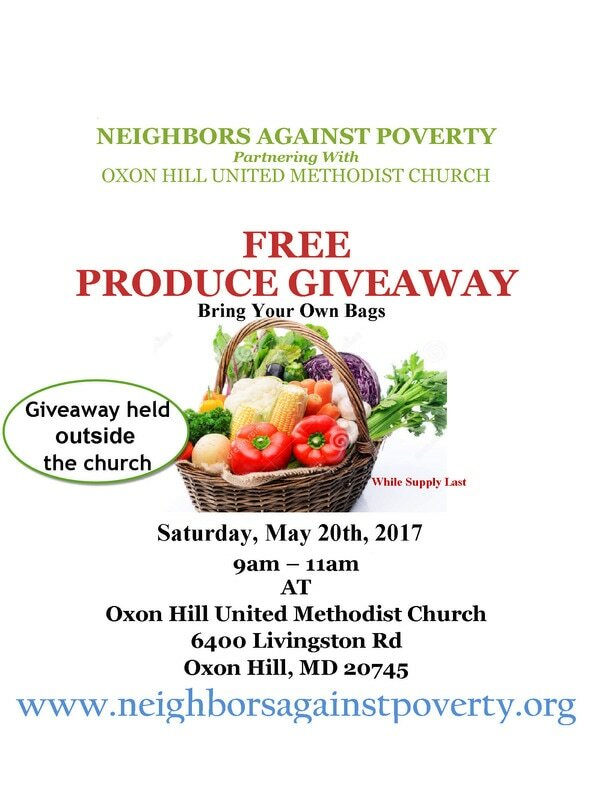 Since our inception, we are now distributing over 50,000 lbs of food each month throughout Prince George's county. The mission of Neighbors Against Poverty is to provide food to families and individuals in need. Neighbors Against Poverty (NAP) is dedicated to our neighbors who need help. We provide food and resources to families and individuals in need, helping them move from crisis to stability. We strive to eliminate the social causes of poverty that affect the people we serve by raising public awareness and advocating for change.